I made this hoopla for the Ongoing Pinterest Swap and had a REALLY hard time sending it off. 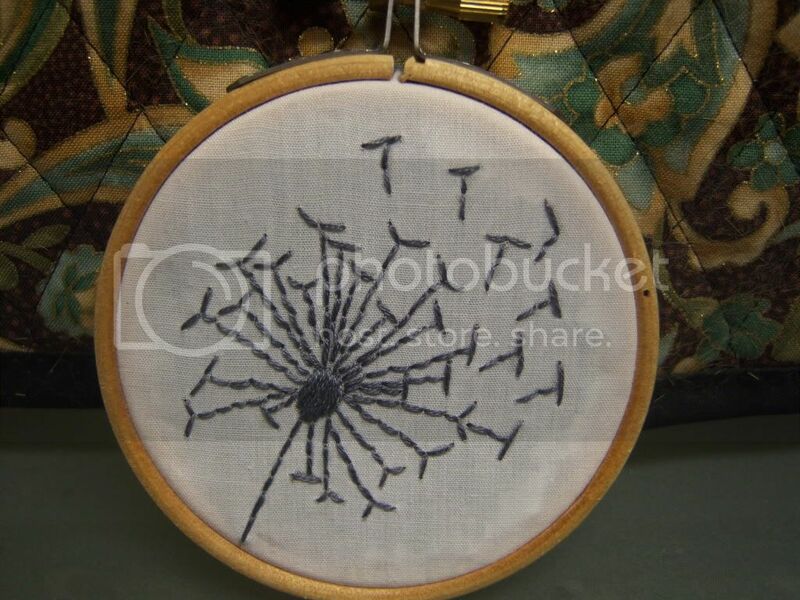 I did a Google image search for dandelion silhouettes to get the idea of what to stitch then went for it. It's in a small hoop which makes it even cuter to me! I want one for my hoopla wall! You really captured this one. Nice! I love it. It has beautiful and simple detail, charming design. Thanks guys!!! I really love how it turned out and must find the time to stitch one up for myself! that's so cute I love the image. adorable! I wouldn't want to send it away either!